The latest and greatest in Windows Mobile is now available for the HTC Titan (aka Sprint Mogul, Alltel XV6800, Verizon P4000). A Windows Mobile 6.1 update ROM was released over the weekend that contains a Radio update to version 3.27.00 that enables the built-in GPS functions in the Titan. Additionally, this update also upgrades the Titan to an EV-DO Rev. A capable level. 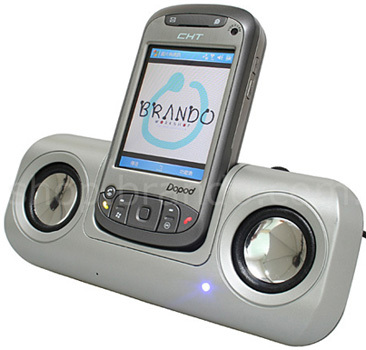 Improves Bluetooth compatibility and performance. Corrects keypad function when using On Demand. Corrects Alarm so it will ring when device is charging. Corrects several Sprint Music performance issues like fast-forwarding. Known as the Titan, the PPC-6800, and the XV6800 in its various forms, Sprint's Mogul from HTC represents arguably the most anticipated piece of CDMA hardware so far this year. Why? Well, for starters, its direct predecessor -- the PPC-6700 "Apache" -- isn't getting any younger. Don't get us wrong, the PPC-6700 was a well-loved device that held its own for a good long while, but let's be honest: aerial antennas and Windows Mobile 5 are getting a little passé (to put it lightly). If GPS, a wide VGA display, and mere HSDPA weren't enough to get tongues a-waggin' for HTC's long-overdue Universal successor, it looks like the Omni will be throwing in a few additional goodies to sweeten the pot for its supposed October launch. Notably, pdadb.net sez that the Omni will be rocking a full HSPA implementation -- that's HSDPA plus HSUPA for the lay folk -- plus a 3.1 megapixel cam and LED (what, no xenon?) flash. If we had our druthers, we'd like to see a 5 megapixel autofocus behemoth in there, but you know, let's not get ahead of ourselves. The HTC Cavalier has arrived and can be had online for only $565 dollars -- yeah we're with ya, that's a bit steep. This is an ideal handset to replace an aging BlackJack and we -- and we're sure many of you -- hope it gets comfy in AT&T's stable in the coming months. If you just can't wait, kick that old nasty Excalibur to the curb and hit up the Expansys site before they're gone. Everybody's favorite king of all mobiles, the HTC Kaiser, has been swept out the door after its trials with the FCC. Interestingly, we peeped three flavors of the handset: KAIS100, KAIS110, and the KAIS120 -- we saw similar variants for the Hermes. Could one of these models end up as an AT&T forward facing camera-less handset a la 8525? Perhaps the rumored AT&T 8925 -- yeah, we're stretching here. Another sticky point found is that the confidentiality agreement covering user manual and pictures doesn't expire until the 8th of September, hardly a reasonable date for an July August launch there, HTC. Regardless of the what or the when, we know it's now on the home straight and all we can do is twiddle our thumbs until HTC makes its move and gives us a solid date. Yesterday you might have traded off some productivity for the sake of portability. Today there's been a tectonic shift: the HTC Shift, a brilliant new paradigm for true mobile computing. By melding the power of Windows Vista with hyper-fast 3G connectivity, the HTC Shift delivers extraordinary functional clout in a sleek, light-weight design. Remember when a high-volume hard drive and a comfortable keyboard took up a lot of room? That was then, this is now. Make the HTC Shift, to the ultimate in smart mobility. HTC Athena close to release. HTC Athena fans--expect to see the Athena on the market in the near future. In the mean time you'll have to make due with more wonderful shots from HPC.ru. Athena will appear as the HTC X7500 and be rebranded as the T-Mobile Ameo. 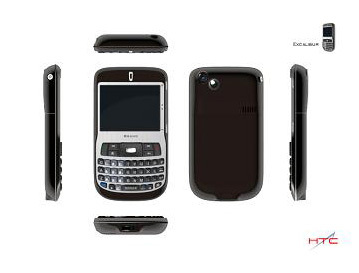 HTC in 2007: Vox (S710), Cavalier (S650), Athena (X7500), Elf, Kaiser, Love (P3350), Wings & more!! The following report is taken from www.msmobilenews.com. See the link at the end for the full story. 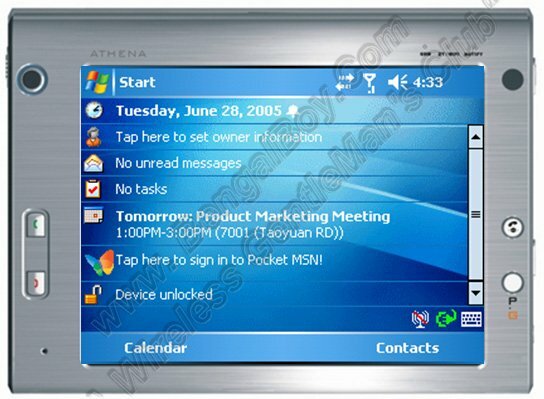 HTC's road map for 2007 has been leaked on the Internet and features a range of Windows Mobile Smartphones and Pocket PCs, some of which we've seen before, some we haven't. As with all pre-release information the specifics could change before release. 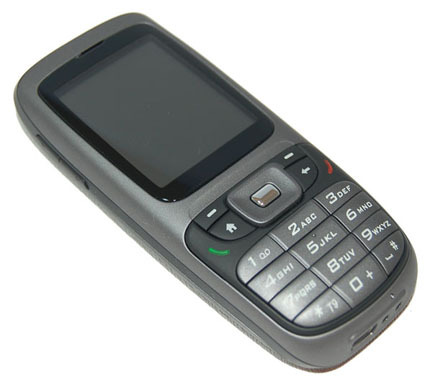 Aimed at entry users (beginners) the HTC Elf features a 200Mhz CPU and an intuitive touchpad interface. 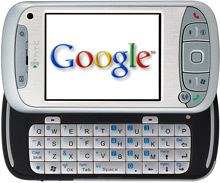 The HTC Kaiser is similar to the HTC Hermes (SPV M3100) featuring a slide-out QWERTY keyboard, WiFi, 3G connectivity and GPS. UPDATE: HTC Athena photos and specs!! Ok kids, hang onto your hats and dose a grain of salt. According to the lads over at Mobile-Review, the HTC Athena (X7500) is a much hotter and much more highly spec'd device like we thought (hoped) yesterday when it first graced our pages. Certainly, none of this is confirmed, but that beefy Windows Mobile PPC Phone Edition device is now rumored to be running on a 624MHz Intel Bulverde processor pumping away beneath a 5-inch, 262k-color VGA (640x480) touch-sensitive display. It's overall thickness is in part explained by the fact that it spins either an 8 or 10GB disk drive while a 2100mAh Li-Poly battery provides up to 6 hours of talk, 300 hours of standby, or 8 hours of WMV video playback. Those specs certainly make more sense. Better yet, it's said to come in two flavors: one for Europe, and a UMTS/HSDPA quad-band GSM/GPRS/EDGE flavor for the US unlike initial reports. Other notable features include GPS, a standard 3.5-mm jack for headphones, 2 megapixel cam with LED plus another cam up front for video conferencing, dual stereo speakers with 3D surround, USB 2.0 and another USB 1.1 host, TV-out, 802.11b/g WiFi, and Bluetooth 2.0 with EDR and A2DP/AVRCP profile support. The unit weighs in at 12.3-ounces (350-grams) / 5.24 x 3.8 x 0.78-inches (133 x 97 x 20-mm) making that QWERTY (barely) usable as a table-top keyboard and not some awkwardly held thumbpad. Estimated to be priced between $1,500 and $2,000 which makes it a non-starter for most, if true. Maybe this is HTC's first take at their UMPC after all. Be sure to hit the read link for the complete list of specifications. Though the sources are being questioned, multiple sites report that pictures released yesterday are in fact of the HTC Athena (X7500). 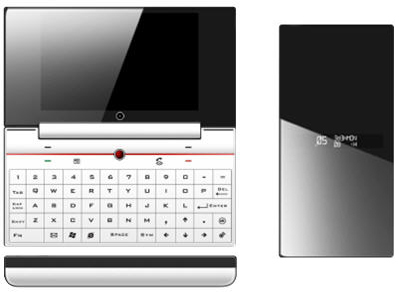 This would reportedly be similar in specs to the HTC TyTN, but a move towards the UMPC form factor. Images released all appear to have a screenshot of WM5 crudely pasted over the screen area, so the evidence is not entirely convincing yet. More pictures at the link below. HTC VOX (aka HTC S710) coming soon! HTC has an update to the popular Excalibur in the works, and it's set for an early release in 2007 - and by early I'm talking about end of January. This new Smartphone is codenamed "Cavalier" and has some very impressive specifications. As a matter of reference, you can consider the update to be the same kind of update Samsung did from the i320 to the newly released i607. The Cavalier will be the first HTC Smartphone to sport something other than the typical 200MHz CPU. Instead, HTC has loaded it up with a 400MHz Samsung CPU! Can you say fast? If that wasn't reason enough to be excited, then I'm sure the Quad-Band (GSM/GPRS/EDGE) with UMTS (2100/850/1900), HSDPA and WiFi 802.11b/g will get your attention. No? Ok, how about 128MB ROM, 64MB RAM, Bluetooth 2.0, 2.4 inch 320x240 screen, 2 mega-pixel camera, and a 1050mAh battery all packed into a package that's just a little larger than the Excalibur. We don't have a picture of the device, but from what we've been told it's very much the same as the Excalibur. Ultramobile PCs from HTC--bring it on! Future hires include a 12-person engineering team to drive some of the highest-level industrial design work for the company. The team is expected to push the boundaries for creating devices for new networks capable of high broadband speeds. Products could include devices that mimic miniature, long-battery-life laptops that can make phone calls. The market for them doesn't exist today, but they are tentatively labeled ultramobile PCs and could be sold as early as next year, Achilles said. 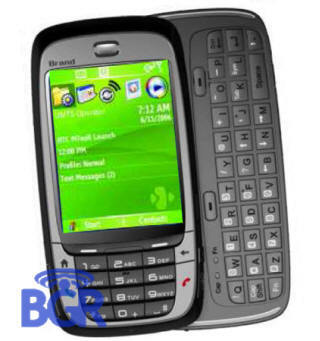 It appears that the Herald (with no current official release date) will be released as HTC P4350. The lack of 3G support in the P4350 indicates that it will be the successor to the HTC Wizard instead of the HTC Hermes (aka TyTN). The P4350 will be the first HTC device shipping with the AKU 3.2 and various other new HTC enhancements, including the much needed close-button customization application! 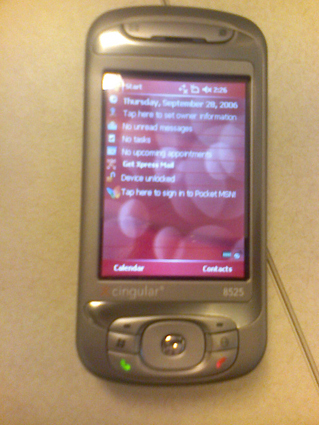 Cingular 8525 price and release date! "Cingular 8525: $559.99 straight, $484.99 one year (not including $50 rebate if included with unlimited data), $409.99 two year (also not including that same rebate); expect it October 29th." 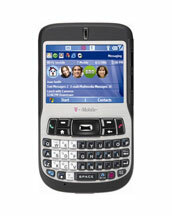 T-Mobile has today released their version of the Excalibur, hereafter known as the T-Mobile Dash. Prices are $350 for the phone, or $250 with a one year contract and $199 with a two year contract. We may have our first look at the HTC Herald coming out at the Italian site solopalmari.com. As expected, the Herald looks like a successor to the HTC Hermes, but depending on who you ask, appears to be around 17 to 18mm thick. Interesting to note though, solopalmari.com does state that the Herald is going back to the miniSD slot from the microSD that appeared in the HTC TyTN, despite the Herald's smaller form factor. 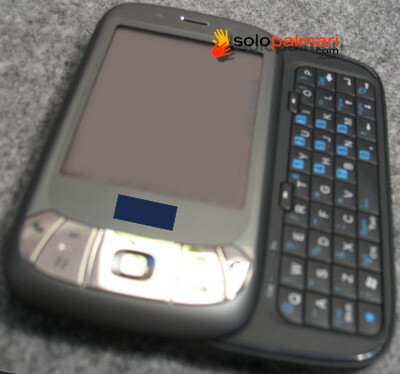 A re-worked version of the HTC TyTN is coming soon to Cingular as the 8525. 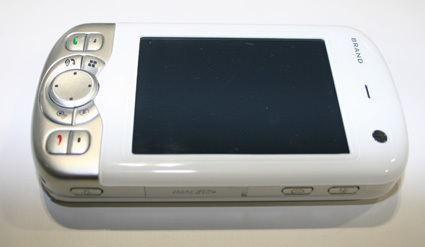 Pre-release photos show it without the front-side video camera used for making two-way video calls. More info at Engadget Mobile. As reported earlier, the upcoming release of the HTC Trinity will include GPS hardware. Due to problems though with interaction between the GPS subsystem and the GSM chipset, the GPS functionality will be disabled for the short term. A software update is promised for early next year thought to iron out the issues and allow users to enable the GPS functionality on their devices (assumably without any detriment to the GSM chipset). 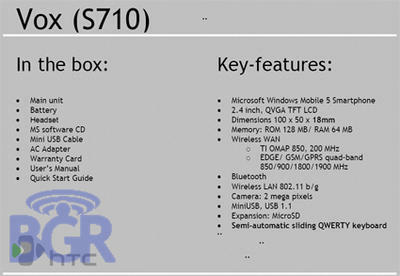 HTC has announced the lineup for Q4 2006 release. 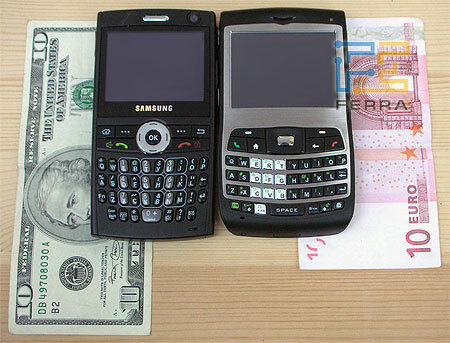 Below, from left to right, the S620 Smartphone, S310 Smartphone, P3600 PDA Phone, and P3300 PDA Phone. We should see P3300 first as the T-Mobile MDA Compact III. According to HTC's press release, expect Portix and Expansys as the major market promoters of these devices in Q4. For all you TyTN lovers out there, life is only going to get better in 2007. 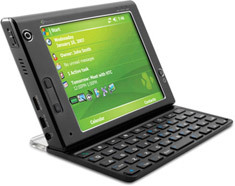 The HTC Libra (aka UTStarcom), making an appearance at CTIA this fall, is set for a Q1 2007 release. 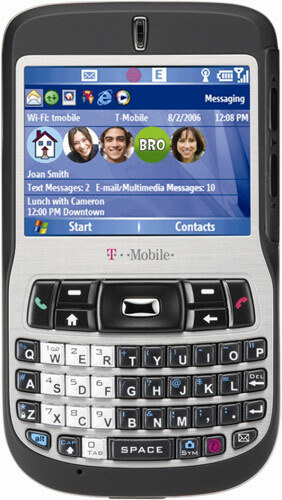 Don't put your TyTN on eBay yet, though, the Q1 release will be EV-DO, with the GSM variant coming later in 2007. The Libra has all the wondrous beauty of the TyTN, but with the much needed addition of an external numeric keypad. HTC's more dedicated followers will quickly notice the difference in button layout that distinguishes the HERMES 100 from the HERMES 200. The HERMES 200 is available now as the TyTN and other variants. 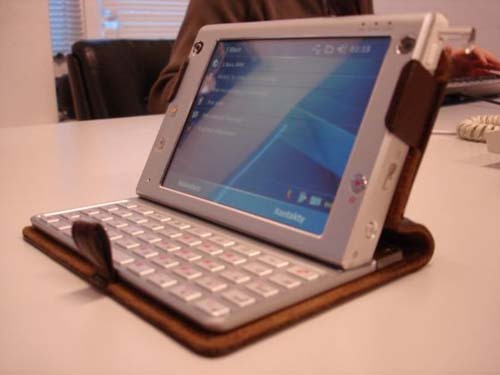 Below is one of the pre-release pictures of the Hermes 100 as it appears it will be released by i-mate as the JASJAM. Now what are we going to have to do to get a TyTN with a normal 2.5mm or 3.5mm headphone jack? WARNING! MTeoR not for North American users! There are a lot of really irritated HTC customers in America after receiving their HTC MTeoRs last week. Versions of HTC's marketing materials incorrectly described the MTeoR as a quad-band GSM device with tri-band UMTS support allowing it to operate on the US carrier's 1900 MHz UMTS networks. As it turns out, the MTeoR is only a tri-band GSM (GSM 900 / 1800 / 1900) device without support for the critical GSM 850 band used across the US. Even more disappointing is that tri-band UMTS claim also is not true--only support for the European 2100 MHz band at this time. So no Cingular UMTS sweetness with the MTeoR. I'm told it's only a couple millimeters thicker than Samsung's i320 and 2 millimeters shorter. Interested yet? Well, what if I told you that Excalibur will not only be a Quad-band device, but it will also be Wifi enabled - Have I peaked your interest yet? No? Then you'll be happy to know that there's more. It also has an innovative touch jog strip. You can clearly see this strip on the right side of the screen. Sliding your finger down on this, and it scrolls down, slide up and it scrolls up. Touch the top to activate the Start menu, or the bottom to go back. HTC STRTRK On Cingular Around August 8th? "A tipster writes in that the HTC Star Trek, which was FCC Approved on Monday, will be available as the Cingular 3125 around August 8th. He says the retail price will be $299.99, but has a $100 rebate to get to $199.99. This, most likely, after you've signed over two years of your soul to Cingular. We'll see if it's true in two weeks." READ: HTC Star Trek On Cingular Around August 8th? "HTC makes pretty much everyone’s Microsoft-based smartphones," says Jack Gold, analyst at J.Gold Associates. "They now want to put their own label on the phone and move from an ODM to a name-brand label. I’d expect them to take what they learned from working with all the other vendors -- e.g., HP -- and produce a phone with a keyboard that looks somewhat like a [Motorola] Q." HTC TyTN Full Review & Pictures! We received two of probably the first 100 HTC TyTNs (pronounced Titan) in the United States today! There is not a lot of info out on the upcoming HTC Trinity. But word is that it may be appearing Q3 or Q4 of this year as a GPS-enabled Dopod Pocket PC Phone. The HTC Trinity has similar specs to the HTC TyTN (64MB of RAM, 128MB of ROM, a 2.8-inch QVGA display, Bluetooth, WiFi, EDGE, HSDPA and a microSD slot) but with the addition of GPS. Advance looks have been few and far between, but it appears to have a little less exciting look than the TyTN. I wouldn't recommend doing this just for fun, but this might come in handy of you have similar situations where you find yourself picking your beautiful week-old mobile off the sidewalk as I often do, and thus have the need to open it up and replace a scratched screen / broken this / smashed that. MSMOBILES.COM has a video posted on their site with a look at the new video-calling, shall we call it TyTN Videophony, on our newest favorite 3G device. "However personally, after testing of video calling, and considering that almost nobody among our friends has 3G phones, we must admit that 3G video calling is a totally useless feature." They have done it again. As far as we know, www.imei-check.co.uk is the first to have a SIM unlock offering for the HTC STRTRK/SPV F600/Qtek8500/Dopod S300/iMate SmartFlip. 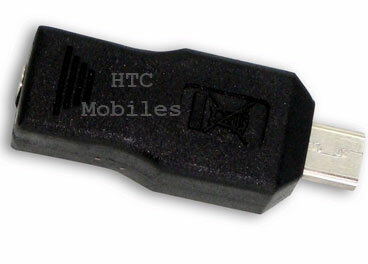 The FCC has finally approved the HTC STRTrK--the first device from HTC with a clamshell form factor. 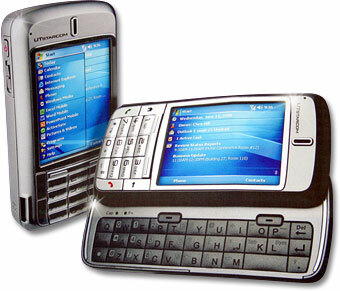 This is a Quad-Band WM5 device with EDGE and Bluetooth and a RAZR-like thinness. The device is expected to become available from Cingular, probably in August/September, as it was seen in a roadmap of the carrier’s future lineup. We're expecting our first delivery of TyTN's from smart-mobile-gadgets.com Tuesday, the 25th! Expect a full review and pictures soon! htcphonestore.com and other US sellers still show the TyTN as a "pre-order" item. A source at mobileplanet.com has informed us that they are taking orders via phone only for the TyTN. No firm word on mobileplanet's ship date, just that they are expecting them by "early August". Our heroes at MoDaCo have given us the best look yet at SPV M3100 (HTC TyTN) and the C100 (HTC Oxygen).